I don't know about you, but every spring I end up needing to dress up more than I expect. Between weddings, showers, Easter, and work events, I always end up needing a pretty spring dress or two. I looked in my dress closet and realized that most of my pretty spring dresses have been around the block a time or tow, so I've been on the hunt for something new to add to the closet. I actually ordered this one but I have a feeling it isn't quite going to work on me, so the hunt continues! 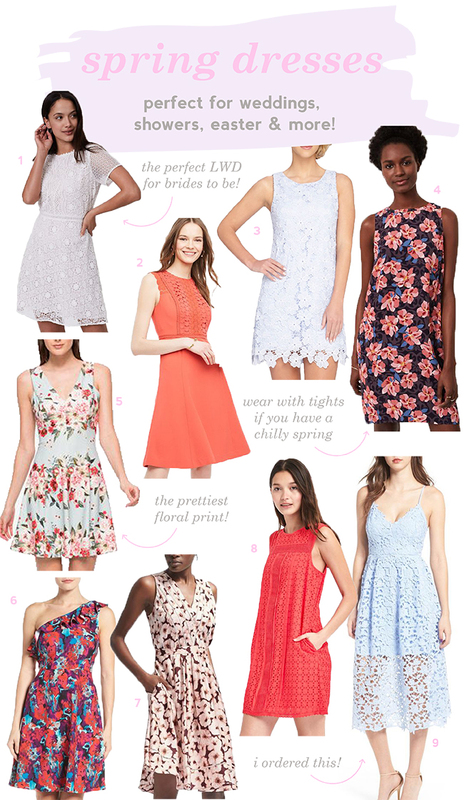 I'm always looking for dresses that are under $150, aren't too revealing (for all of the church events), and have pretty spring colors or details - all of these fit the bill! Which is your favorite?